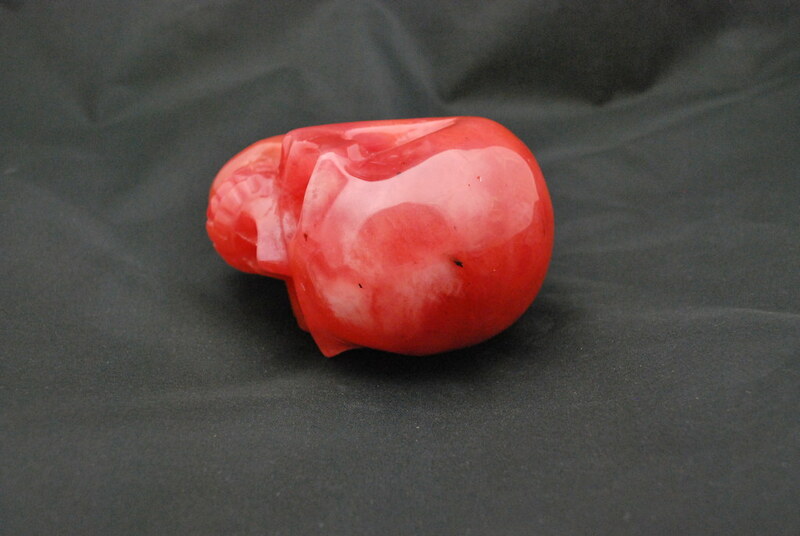 Strawberry quartz is a very rare type of quartz. 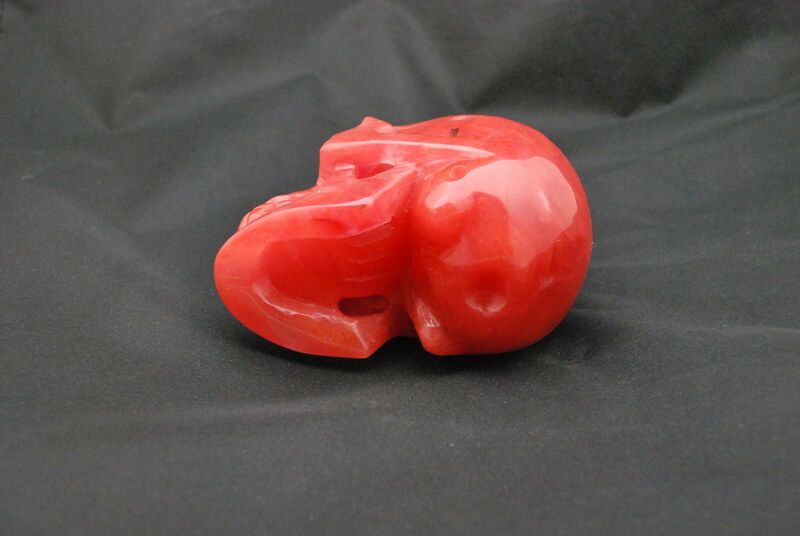 It was found in Kazakhstan and it usually occurs in portions of a total mass of crystalline structure. Strawberry quartz stimulates the energy center of the heart, bringing added energy to the quartz, and filling ones total person with Love. 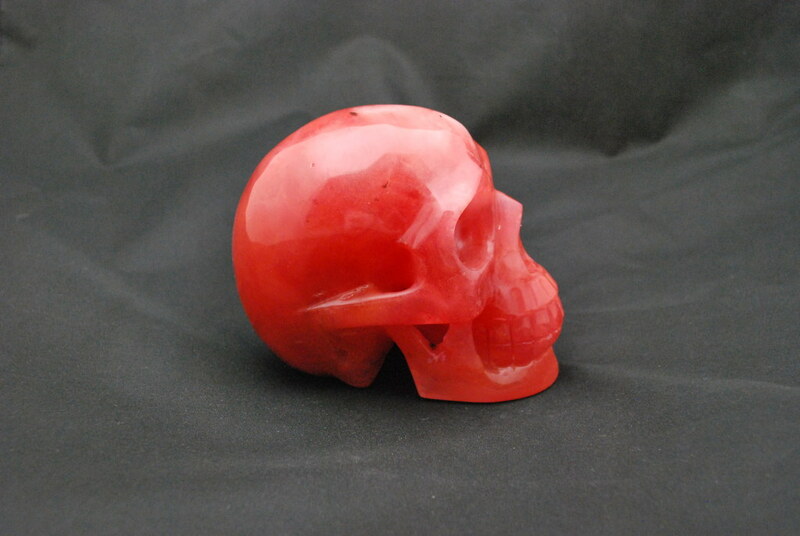 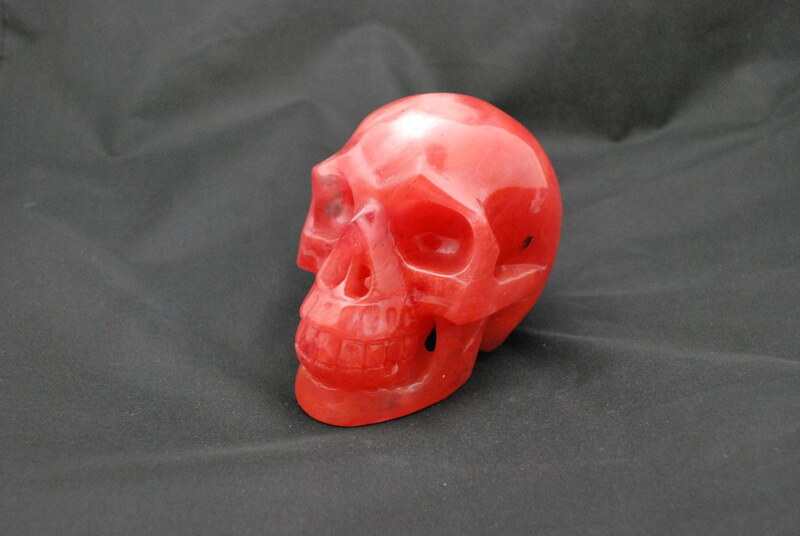 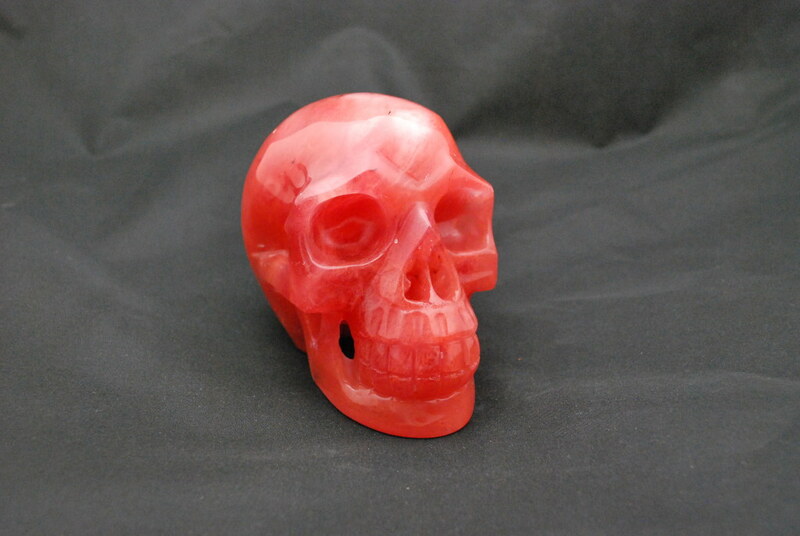 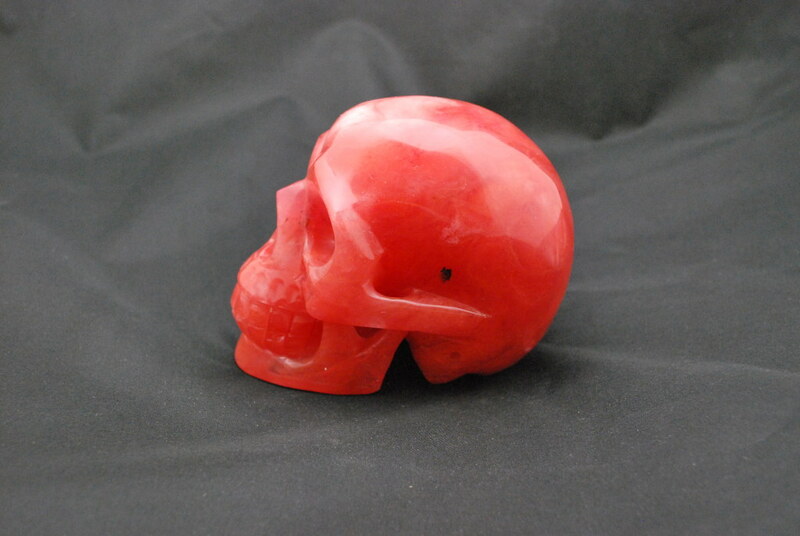 All Strawberry quartz Skulls in our shop are mix of red jasper - a form of quartz and quartz, powdered and mixed, then fired by high voltage electricity. 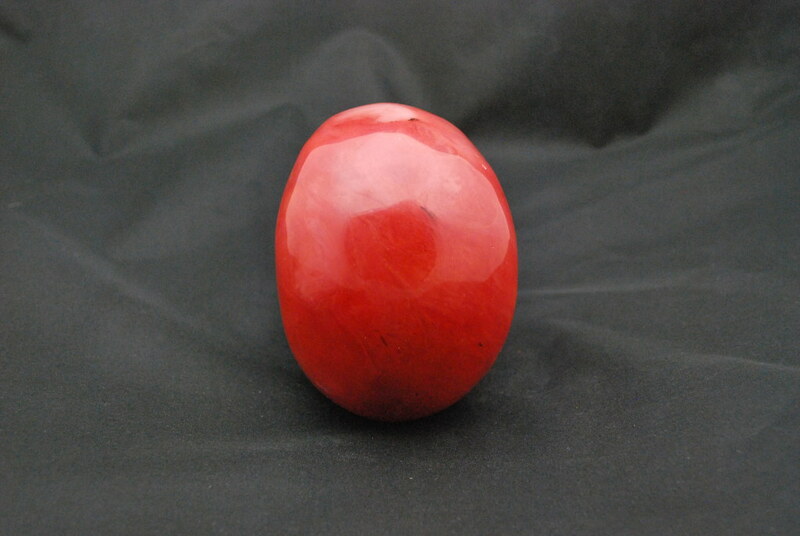 This creates a perfect bonding of the molecules.